A new study estimates that the proposed Oklahoma Museum of Popular Culture in downtown Tulsa would have a nearly $18 million impact in its first year of operation. The study by the Tulsa Regional Chamber of Commerce also estimates the museum would provide additional benefits, such as creating nearly 400 permanent jobs, a 650-space parking garage in downtown Tulsa and boost tourism. The planned museum has been in the planning stages for several years. It will be a 75,000-square-foot, four story building dedicated to Oklahoma artists and their impact on popular culture. Supporters of the project say the museum is contingent on approval of funding from the state Legislature, but it appears a long shot this term as the legislative season is close to ending. Like many states, Oklahoma has provided the world of popular culture with lots of talent. From Bob Wills to Garth Brooks, Kristin Chenoweth to Leon Russell, and Will Rogers to Ron Howard. But when it comes to the cultural legacy of those in this list and others, they currently have no home. 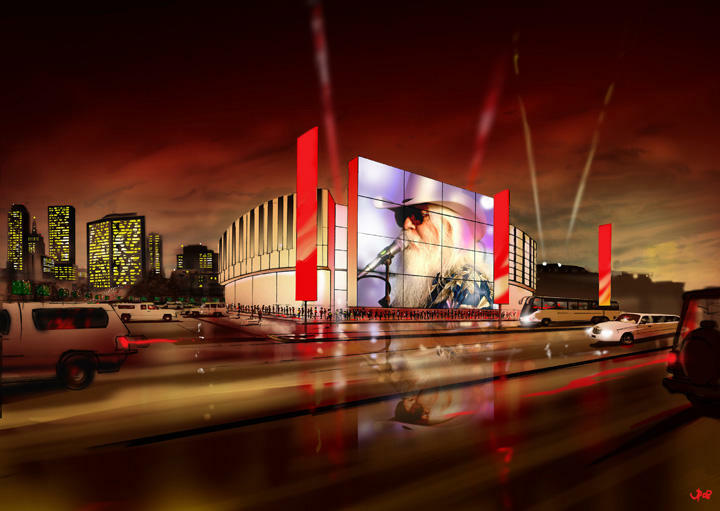 The proposed OKPOP museum, planned for construction near downtown Tulsa, would connect popular culture with Oklahoma roots to the state’s broader history and place in the world.